For our tent and caravan lovers we have plenty of spacious pitchess . We offer both place in the sun or shade or bidding. 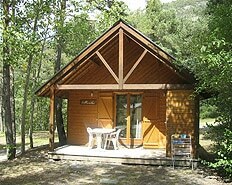 Who thinks of the Alps, also think of an authentic chalet, why not choose a chalet B for 4 to 6 people. Who thinks of the Alps, also think of an authentic chalet, why not choose a chalet C for 2 to 4 people. 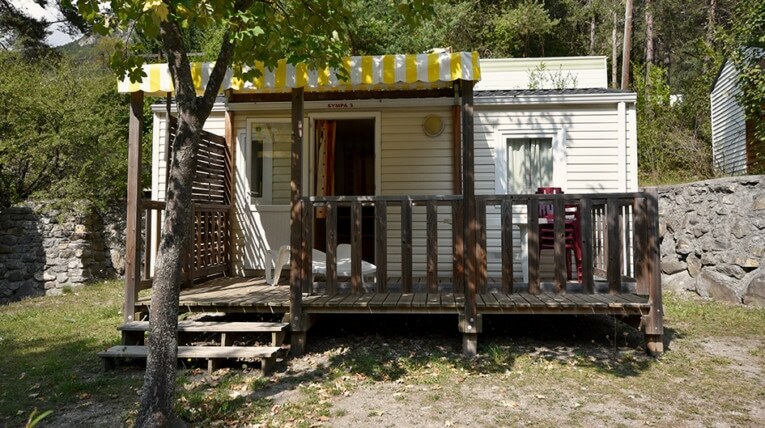 If you opt for a holiday in a mobile home but with all possible luxuries, we offer you the comfort 3! GLAmorous CAMPing. 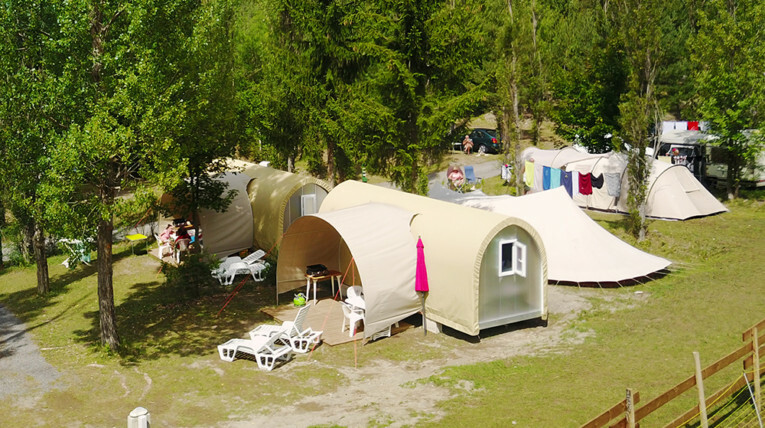 If you want to feel the ancient tent feeling but with the greatest luxury, then the glamping tent is something for you. 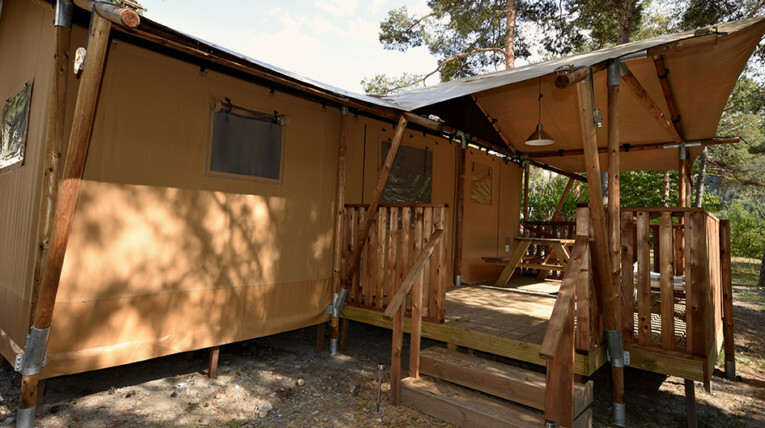 The Glamping 3 can accommodate up to 6 people. From the south-facing terrace you have a direct view of the river. Tent / Lodge (wood) up to 6 people. Each with its own facilities and terrace. GLAmorous CAMPing. 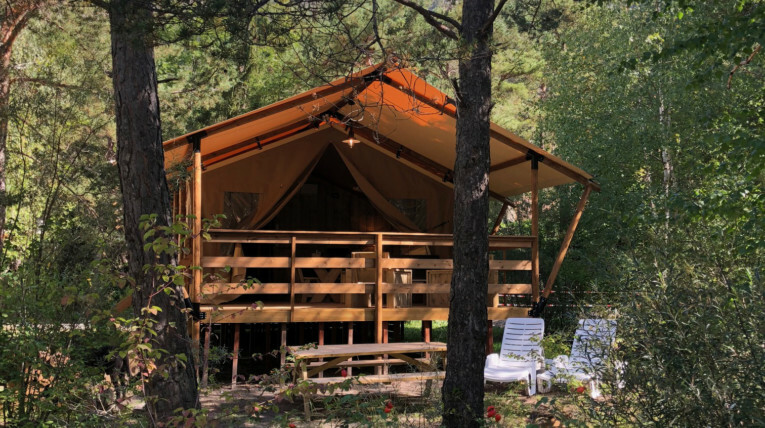 If you want to feel the ancient tent feeling but with the greatest luxury, then the glamping tent is something for you. 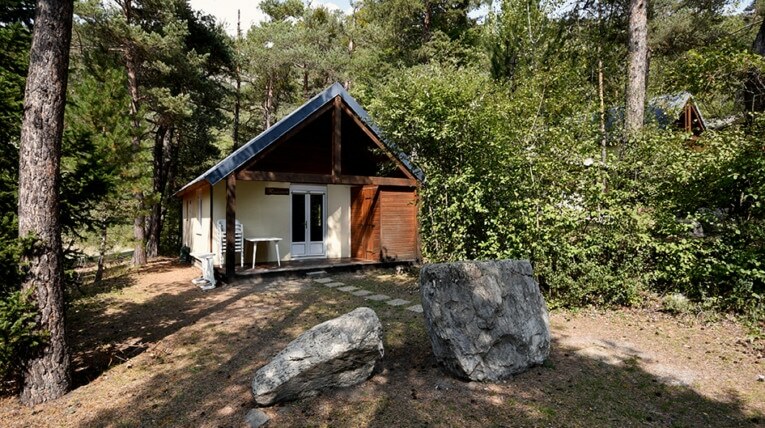 The Glamping 2 can accommodate up to 5 people. 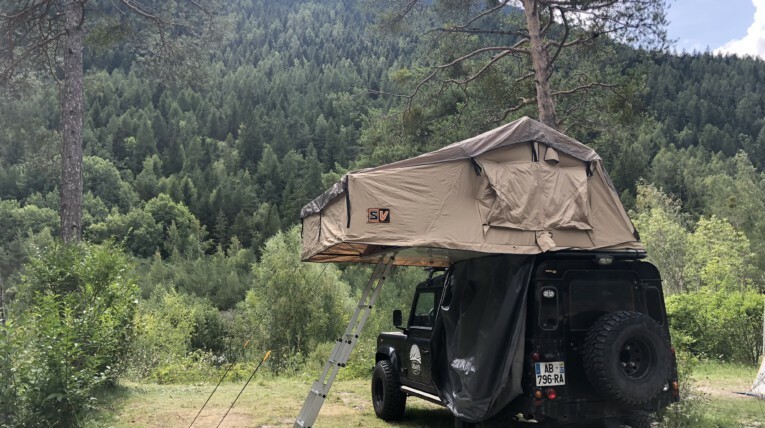 Between tent and mobile home, a new camping concept for a nice holiday. As a coupe of with the kids. You don’t want to go out with car and caravan, then a mobile home is the solution to stay in the beautiful nature with the comfort of home. 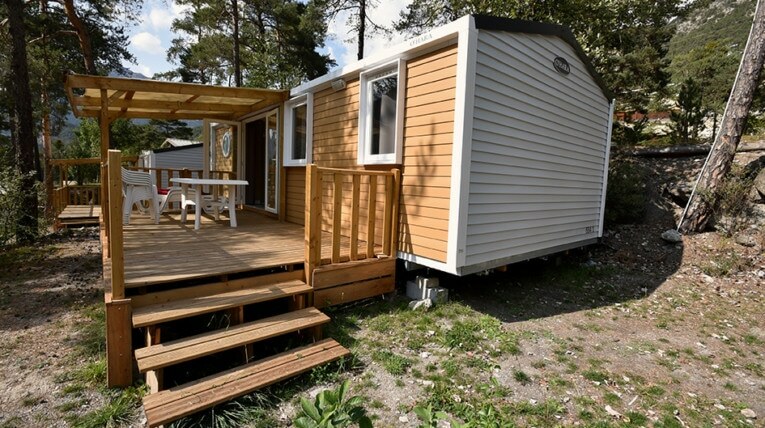 The mobile home P is a mobile home for 5 people, with 2 bedrooms, equipped kitchen corner, a living room, bathroom with shower and washbasin, toilet, a terrace with garden equipment and a small garden. 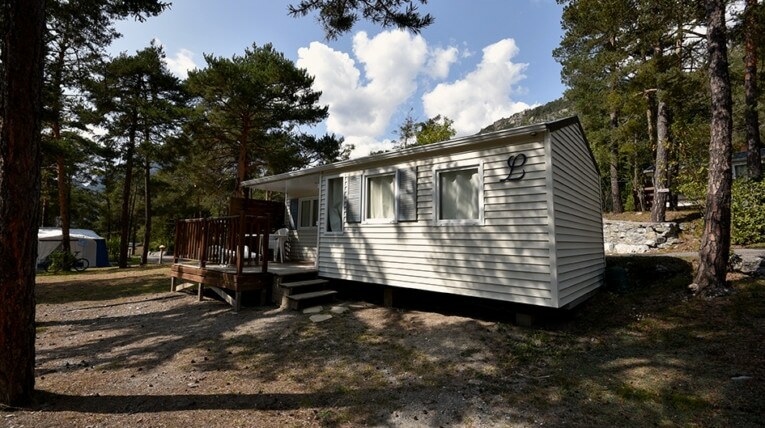 If you don’t want to drive with a caravan behind the car , then a mobile home is the solution to stay in the beautiful nature with the comfort of home. The mobile home S is a mobile home for max. 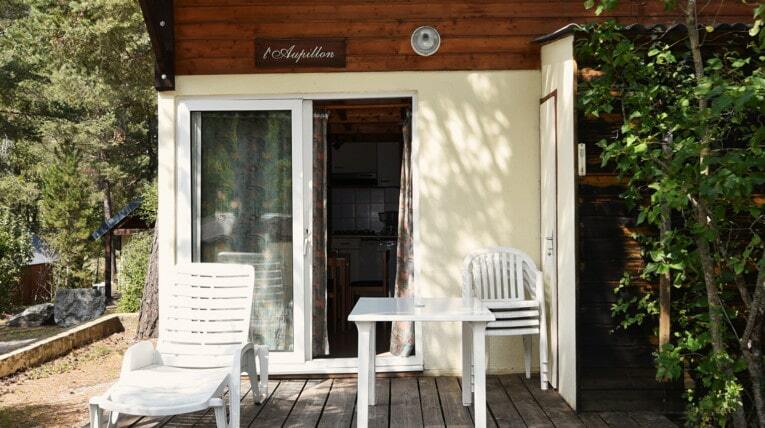 4 people, with 2 bedrooms (2 adults / 2 children), equipped kitchen corner, a living room, bathroom with shower and washbasin, toilet, a terrace with garden furniture and a small garden.